Love comes in all shapes and sizes just like the floral varieties used to say “I love you” this time of year. 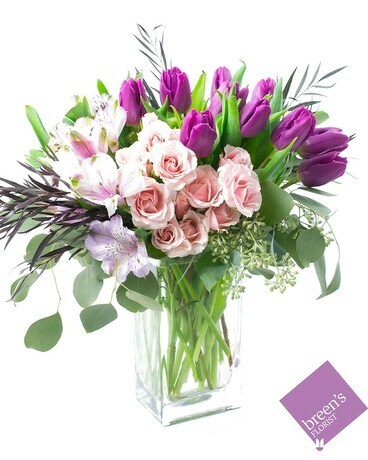 Express your heartfelt emotions in a textural composition of Alstromeria, Spray Roses and Tulips. *Color combinations may vary within the spring color palette.